Rose Bryant-Smith, Author of Fix Your Team (Wiley, 2018), and founding partner of Worklogic. Given that the average full-time worker spends more than a third of their waking hours at work, your experiences in the workplace have a big impact on your overall enjoyment of life, as reflected in one of the 11 questions of the Thrive Pulse Survey: “I’m able to find pleasure in my job”. Unfortunately, experiencing toxic behavior in the workplace is quite common. In 2016 research by Dr Lindsay McMillan, 14% of workers described their workplace environment as ‘toxic’, and 20% had experienced major problems in communication with a co-worker or boss. A massive 50% had experienced serious incidents of conflict or negative conduct at work. The #metoo movement highlighted the coercion, sexual harassment and bullying that some women experience in the workplace, particularly those in low-wage jobs and whose job security is poor. Also problematic are emotional power plays and high conflict behaviors, such as manipulation, aggression, gossiping, lying and blaming. For individuals experiencing bad behavior in the workplace, their morale, job satisfaction, and physical and psychological health are significantly affected. Sleepless nights and anxiety are common. Employees who experience poor management are more likely to have a heart attack in the next decade. About 80% of women who’ve been harassed leave their jobs within two years. Health research shows that depression, psychological distress and emotional exhaustion are common outcomes for bullied workers. One toxic worker’s conduct also has a damaging ripple effect on the broader team. Misconduct in the workplace causes team dysfunction, reduced productivity and diverted management attention. A 2015 Harvard Business School report claims that having a toxic employee on the payroll costs the average business an additional $15,169 per year, primarily due to the departure of high performers who can no longer tolerate the negative team culture. After all, why would a great performer tolerate a toxic or underachieving work environment, when they can thrive elsewhere? If you are experiencing poor behaviour at work, the good news is that there are some steps you can take to protect yourself and encourage your employer to take action. Don’t get sucked into the emotional games of your toxic co-worker. Many manipulative and high conflict people try to recruit their colleagues into ‘us and them’ scenarios, which undermines otherwise healthy working relationships, and causes confusion and conflict. Stay true to a strategic and mindful approach, choosing which issues are the most important to respond to, and which issues you can ignore. If someone is undermining you using their positional power or other sophisticated ways, send them an email to confirm the content of conversations and agreements, so it’s harder for them to deny later. Some employees even record toxic behavior on their smartphones (if this is legal in the state in which you work) as proof in later disciplinary or legal proceedings. Don’t get dragged into gossiping or manipulative conversations by the water cooler: “Sorry Joe, I’ve got to be back at my desk for a call in 5 minutes”. Is there someone you trust in the workplace who can help you to navigate the organisational politics, understand your rights, and choose the best pathway to assert yourself? It’s OK to de-brief and get support from your friends at work, without creating factions or cliques. If you are considering involving Human Resources in your efforts to manage toxic behavior, be very clear what you want. Are you telling HR about your efforts to manage the toxic behavior so that it is ‘on the record’, in case it later escalates? Are you seeking their advice? Are you making a formal complaint about a particular incident? The company may have a legal obligation to take action – particularly for racism, sexual harassment or breach of business conduct rules – so raising the matter with HR may result in it being taken out of your hands. 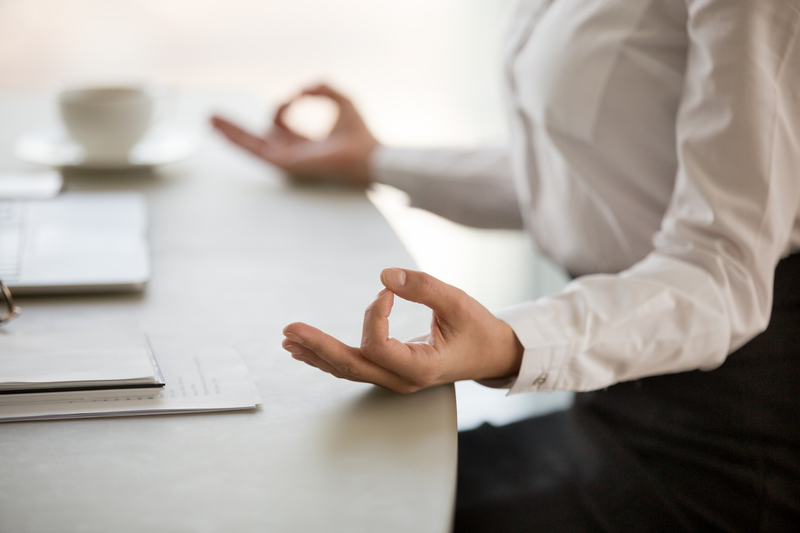 Mindfulness is a great mindset to choose, when you are dealing with a toxic colleague. Think about how you show up at work each morning, and stay present. Get coaching and counselling if that will help you to stay on track. If all else fails, the company fails to take action and you feel the need to change jobs, use the exit interview to state honestly the reasons for your departure. reduced with your strategic approach, right mindset and firm resolve. Download free sample chapters of Rose’s new book Fix Your Team here: http://www.fix-your-team.com/. Rose Bryant-Smith is founding co-owner of workplace advisory firm Worklogic, and author of Fix Your Team (Wiley, 2018) and Workplace Investigations (Wolters Kluver, 2018). A former labor law attorney in Melbourne, Australia, Rose helps companies and leaders to minimise bad behaviour in the workplace, address conflict and help teams to thrive. A life-long learner, Rose has conducted a research project on work and self-identity in India, woven baskets with Aboriginal elders on the most northern beaches of Australia, and walked 100km in 30 hours for charity Oxfam. She was previously the Human Rights Fellow at Mercy Global Action at the United Nations, President of YWCA Victoria (Australia) and a company director of start-ups and social enterprises. Find Rose at www.worklogic.com.au and www.fix-your-team.com where you can download free training and resources.